The vast majority of tourists who spend a holiday in Barcelona come to see the Sagrada Familia temple. In fact, this work by Gaudí in Barcelona is the most visited monument not only in the city, but also in the whole of Spain. The numbers are overwhelming, since in 2016 about 4.5 million people visited the Sagrada Familia. Does the idea of visiting it yourself during your next trip to Barcelona tickle you fancy? We hope so. Why are there so many visitors in Sagrada Familia? The answer to this question is quite simple. The Sagrada Familia of Barcelona is the masterpiece of the genius architect Antoni Gaudí i Cornet, who even in his lifetime knew that it would be his culminating creation. Barcelona boasts many other unique and exceptional constructions by Gaudí, such as Casa Batlló, Park Güell or La Pedrera. All of them are the great gems of Catalan Modernism, but none stand out like the Sagrada Familia. Gaudí was a fervent believer. From the very moment when he started to conceive the plans of the cathedral, he knew that this would be his masterpiece. Unfortunately, however, he never finished it, although he was working on it for 43 years. When he tragically died in 1926 (after being hit by a tram), the great Expiatory Temple of the Sagrada Familia was unfinished… And today it remains the same. Perhaps you are wondering whether visiting the Sagrada Familia means visiting an unfinished church. Well, yes, that’s right. But don’t take it as a bad experience. On the contrary, once inside the cathedral you will have the opportunity to see how this masterpiece is being created in real time, since the construction will unfold right in from of you; it´s not a common thing to see the people of the 21st century scrupulously following Gaudí’s inspiration, who had left written instructions and plans. 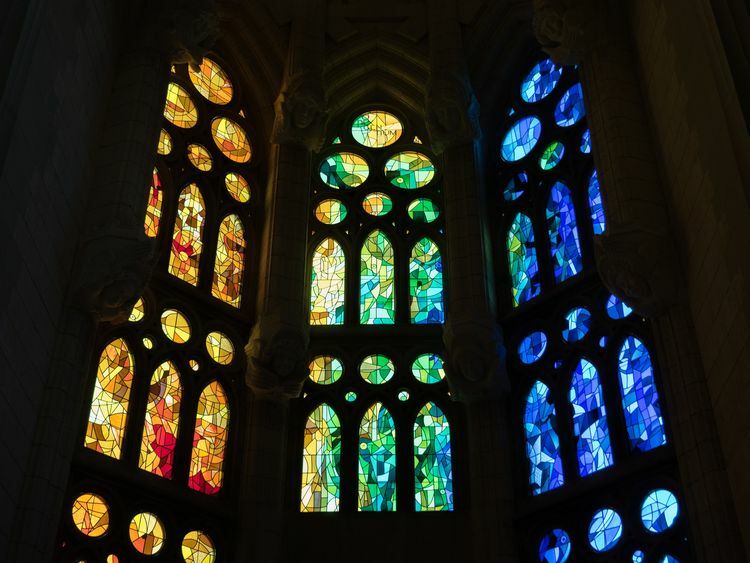 Therefore, a visit to the Sagrada Familia temple is a two-in-one type of experience. First, you get an opportunity to contemplate what Gaudí’s genuine mind conjured almost a century ago. And at the same time, you see how it is getting materialized in front of your eyes. This is an out-of-this-world feeling, because every time you visit the Sagrada Familia, you will always see it differently. Moreover, did you know that it has been a location for many movies filmed in Barcelona? Standing in front of the monument in the Eixample neighbourhood, the first thing to admire are the particularly charismatic towers of the Sagrada Familia. These towers are part of the city skyline and can be visited, since you may explore the monument in different ways. One entrance ticket to the Sagrada Familia includes a visit to the interior of the basilica and to the top of the towers. 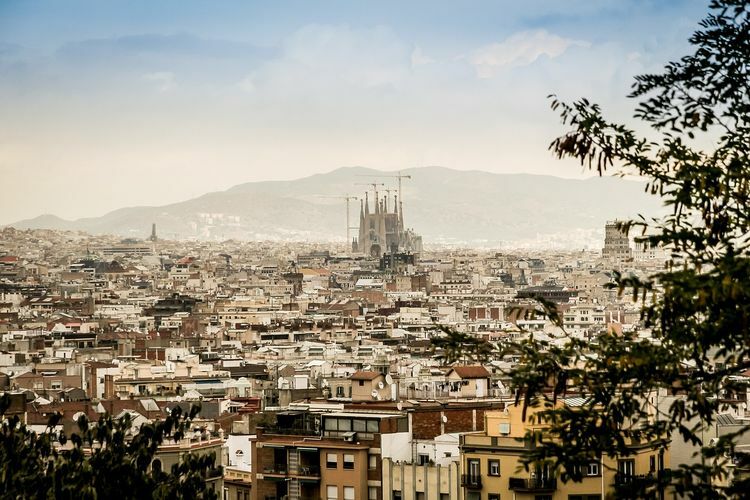 In this way you can enjoy one of the most beautiful panoramic views that Barcelona has to offer. However, if you don’t feel like going up so high, opt for another entrance ticket to the Sagrada Familia. This time you may visit the inside of the basilica and the crypt where there is an interesting museum dedicated to Gaudí’s life and work. You don’t have to be as religious as Gaudí to appreciate the beauty created by this brilliant architect. All you have to do is to buy an entrance ticket and once inside the basilica – look up. You’ll see elegant columns with no straight lines, or you’ll feel tiny under those vaults that are 70 meters high. This is a special feeling, because you know that this is a building which is under construction, and yet the tour around the Sagrada Familia feels like a walk in the woods. 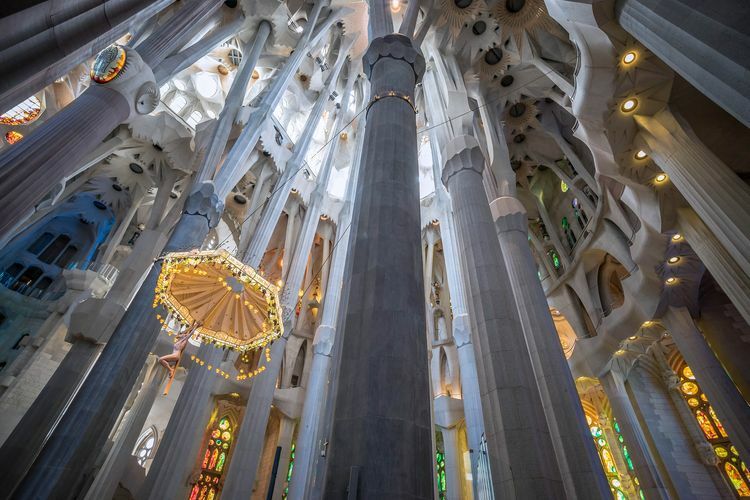 As we know, Gaudí was inspired by the shapes of nature and wanted to recreate a forest where the columns were tree trunks and the vaults – the tops of those gigantic trees. As we have already said, the Sagrada Familia is under construction (hopefully it will be completed in 2026), so the tourist tours around its interior are undergoing changes according to the work being done. However, all the visits are very safe and give you a chance to pass through all the areas of the cathedral. That means one of the five naves of the cathedral, the altar area, the chapels and the cloister. Other parts that dazzle all visitors to the Sagrada Familia are the three facades designed by Gaudí. These are the facades of Glory, Birth and Passion. Not only did he design them from an architectural point of view, but he also proposed the design of each and every one of the hundreds of sculpted figures that compose this gem of Modernist art. The tour around the towers, the basilica and the facades of the Sagrada Familia contribute to admiration of Gaudí’s art. But to understand this unique genius to the fullest, you will have to go down to the crypt of the cathedral. There you will find a museum dedicated to the architect, with lots of drafts and plans, models, tools, and all other things that had led him to conceive one of the most beautiful relatively recent constructions of the world. 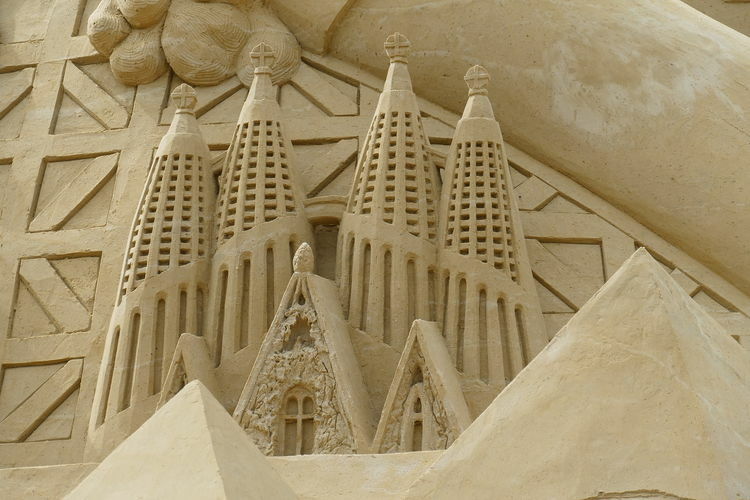 Therefore, during your trip to Barcelona don’t forget to plan a visit to the Sagrada Familia. A unique monument you shouldn’t miss. It is very easy to get there, either taking the L2 and L5 metro lines, or by bus that stops nearby (19,33,34,43,44,50,51, B20 and B2). Finally, from any of our luxury apartments in Barcelona, be it Lugaris Beach or Lugaris Rambla, visiting the Sagrada Familia becomes an easy task. 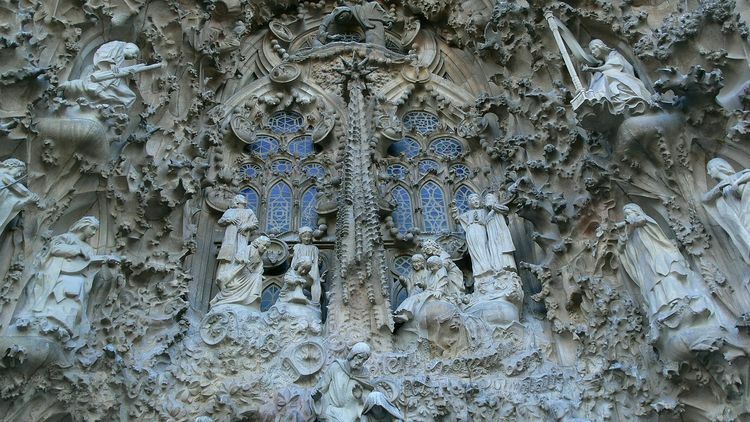 We love Gaudi art and we were hoping to visit the Sagrada Familia in Barcelona next January. We were wondering what are the best hours of the day to visit so that it is not too crowded. Also, which is the best day of the week? Probably weekdays are your best option, weekends tend to be more crowded. Any time of the day is fairly busy, but we recommend you buy your ticket online to avoid queues.